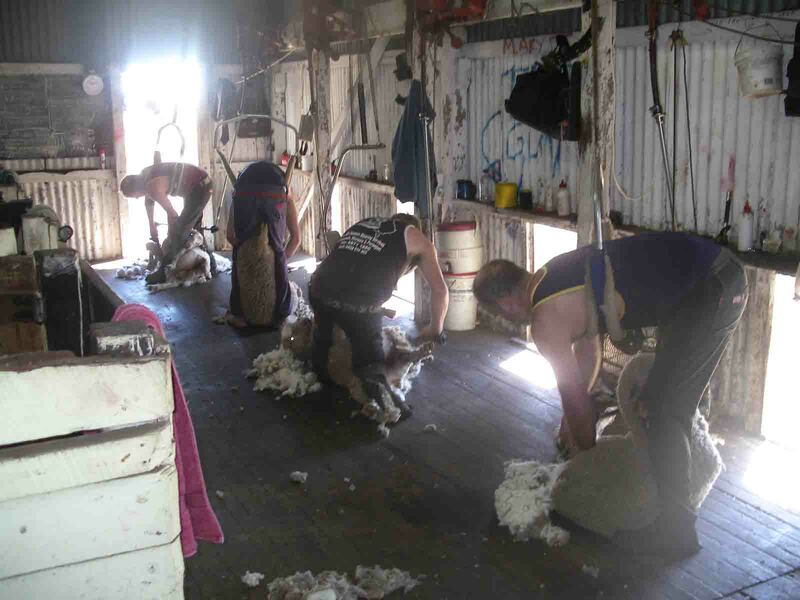 I must thank this particular shearing crew for allowing me to take photo’s of them hard at work (and for the stories I heard after work…such a laugh). You may read about them in the next book. I loved Jason’s shed. It’s not like the new boring ones I’ve seen, but rather rustic and how shearing should be (to me anyway). The back aides are hung from an old tree branch and plank of wood. There is years and years of oil build up in the wood and it looks used. That’s what sheds looked like when I was growing up!